Want to show off your own project? Want to keep a build log of it? Post it here! 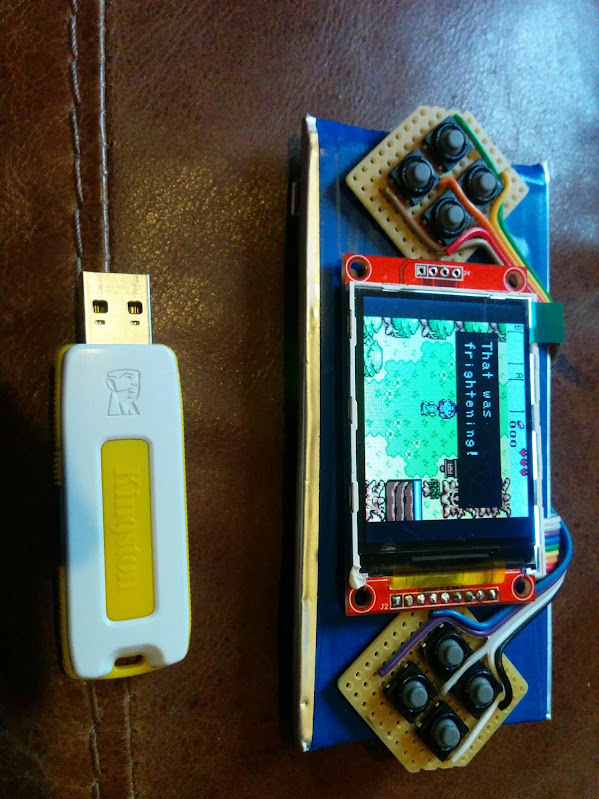 I had been wanting to make a little Pi based handheld ever since the Zero came out, but couldn't get my hands on one. When i finally got one I was stuck for ideas as to what kind of case i wanted, so i kinda made it without the case!! I started off with a li-po battery I had lying around. I have measured it to be 2500mah, really thin, came out of an old power bank. On the front, we have a cheepo 2.2" spi screen (ebay special £6 ish), flanked by 2 stripboard button arrays. The spi screen isnt as bad as people make them out to be. Sure the process that copies the screen to the spi bus adds some overhead, and the gpio button bit probably adds some too, but i have not had any issues. It plays gameboy/gameboy colour/NES/SNES/gamegear/mastersystem with ease. N64 games run (slowly!!) but the buttons dont seem to work, so i used it as a battery life test, and just broke 10 hours!!!! The only problem, its a bit on the fragile side!! 5 mins in the same pocket as anything metal and there will be fire!!! Nice! I actually just got the exact same screen up and running for another project. What settings are you using on it and what's your performance like (on the screen specifically)? i have actually just been reinstalling it all, so i have all the settings to hand. Still one of my favorite builds. Great work!!! Cool. Are you running that in conjunction with fbcp? 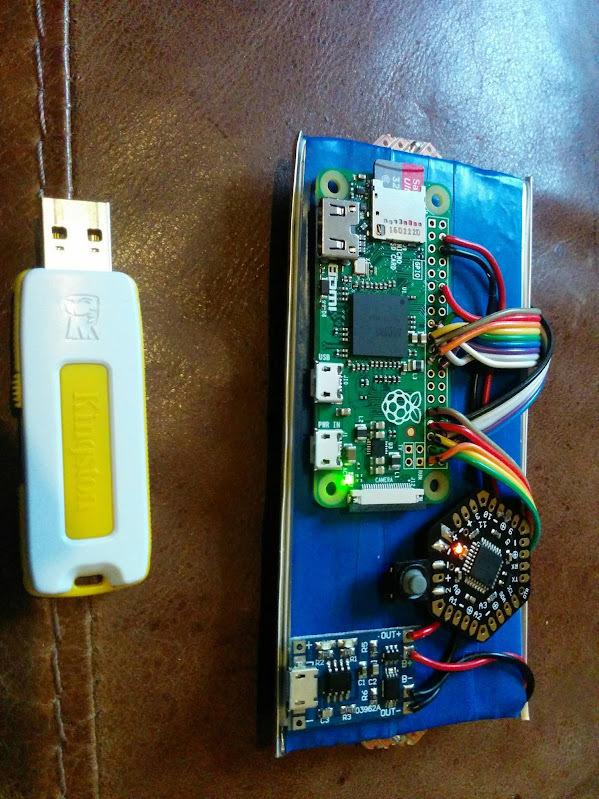 I've got mine runing fbtft_device=adafruit22a since it uses the ili9341 as well. I've got speed set to 80000000 (as adafruit does) and fps set to 60. It's not 60fps (and there is a bit of screen tearing) but it looks/works pretty well! Good enough that I'd play games on it, anyway. thedudester80 wrote: Still one of my favorite builds. Great work!!! Thanks man, fancy seeing you here! wermy wrote: Cool. Are you running that in conjunction with fbcp? Ha ha ha ha, I like to life dangerously! Your cheap lipo protect board can use a slide switch like the powerboost?